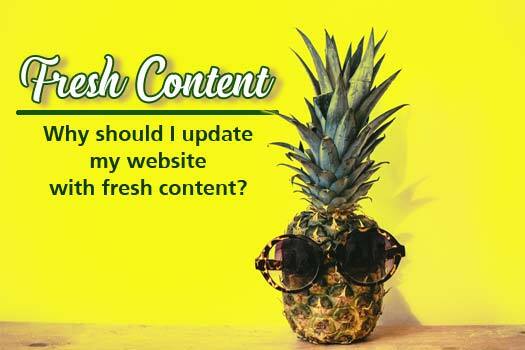 Why should I update my website with fresh content? Keeping your website updated with fresh content is important for many reasons and provides many benefits. Content should be reviewed regularly to make sure it is correct and current for your company or organization. If you haven’t read your website in a year or more you may be surprised at what is out of date, incorrect or even not included on your site (such as products, services, employee changes and contact information). Fresh content is something unique and new to a particular website and is not found anywhere else on the internet in the same format. What are the benefits for keeping my website’s content fresh? There are many benefits for keeping your website updated with fresh content. Google will index your site based on a combination factors such as the number on incoming links, keyword frequency, quality, relevancy and how often it is updated. Quality is the key and updating your website with reliable and valuable information, gives you a better chance of Google ranking your site higher with each update. Read more about providing valuable content and don’t forget to apply internal linking practices. Frequent website updates provide excellent topics and content for posting to social media channels. The social media posts will magnify the fresh content and help drive traffic back to your site, which in turn benefits your SEO. It’s good practice to make sure your social media channels and website are working together. Keywords are an important component of SEO. Fresh content naturally creates more organic keyword optimization, and search engines notice this when crawling websites. Be sure to use industry keywords naturally when writing content. The more you write on a topic, the more credibility you gain in your field. Once you establish yourself as an industry authority, other sites will start to share and link to your posts. Google views back links as a ranking signal because web pages that are linked-to are viewed as authoritative compared to websites without back links or minimal back links. By providing quality information and relevant, unique content you will build a group of followers. Loyal readers are more likely to return to your website and in-turn more likely to convert, register, buy or recommend your website to other people. Fresh content lends credibility and gives a feeling of trust to customers. If content is old and outdated it gives the visitor an impression that the company/service/product may not be cutting edge or the company may not stand by their product/service/promises. How often should I add new content to my website or blog? The mission of each website is different and so are updating frequencies. A company blog won’t update as often as a news or sports website. Some experts recommend 2-3 times per week. I personally recommend setting a realistic schedule and committing to it. Many business owners I work with can realistically commit to once a month and some once a week. More is better, but staying committed is key, content is king and your customers will follow your updates. How do I create fresh content continuously? What do I talk about? The best way to create fresh content for a corporate website is to create a blog. Listed below are a few topics that can provide fresh useful information on a regular basis. What is the latest news in your organization? I have a blog already, what else can I do? Edit existing posts and bring them up to date; update links, dates and add new images or graphics. If you are just starting a blog or revitalizing an existing one, think out of the box and commit the resources to implement providing fresh content on your website. How do I make fresh content updates succeed? Allocate resources to make it work (both money and time). Brainstorm ideas for useful, unique and informative content. Measure the effectiveness and ROI from blogging. 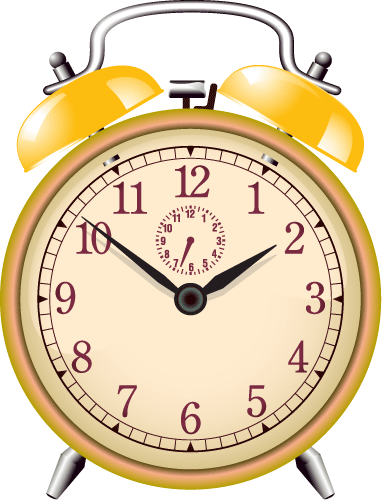 Prioritize the time it takes to create articles. What do your customers want? What information and frequency do they need? Can someone else update my website? Yes, if you don’t have the time or knowledge to update your website you can hire someone else to handle it for you. It won’t be free, but the long term benefits are worth the investment. 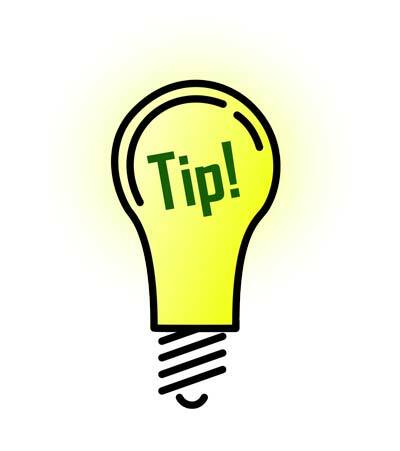 When hiring someone have an outline of the tasks and updates you are thinking about. We offer monthly packages for website content updates. We’ll help your site grow to something you’ll proudly talk about and send customers to visit so they can stay up-to-date about your products/services. Let’s get started, contact us now.